Great quality mens winter gloves. 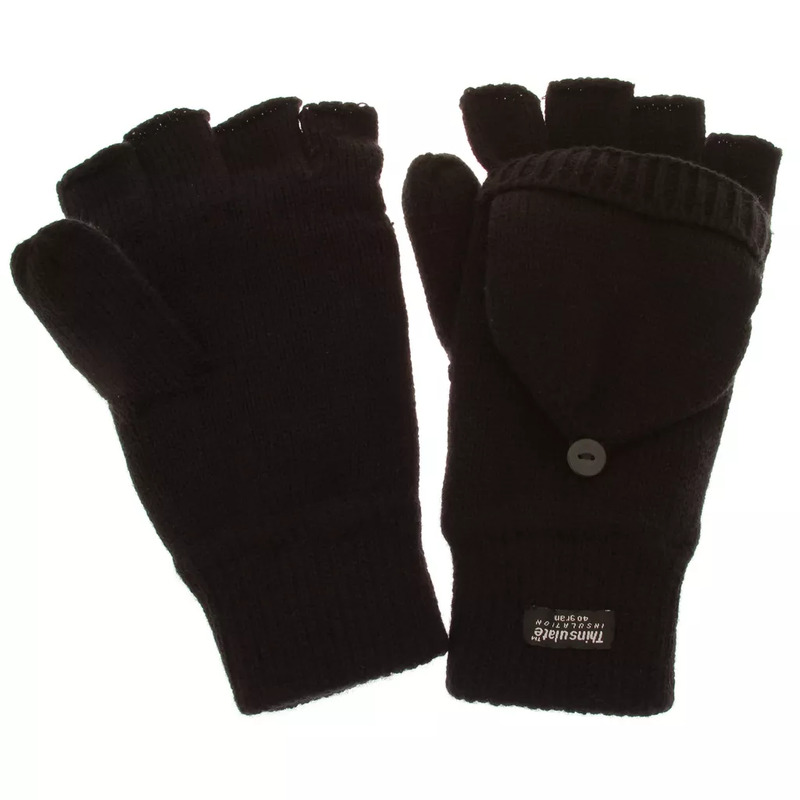 Perfect for wearing the cold weather as they keep your hands nice and warm. The gloves are fingerless but have a cap that can cover the fingers. The thumb of the gloves are not fingerless. You can to choose to have the cap either over the fingers or not. Interlining c40 premium thinsulate 65% Polypropylene and 35% Polyester.